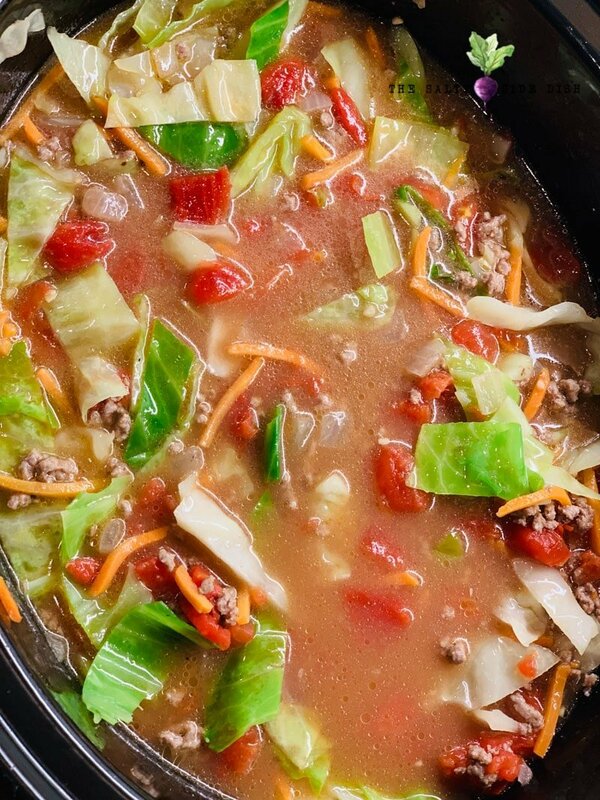 Beef cabbage soup is a hearty, delicious, and low carb soup option that is easy to make over the stove or in a crock pot. 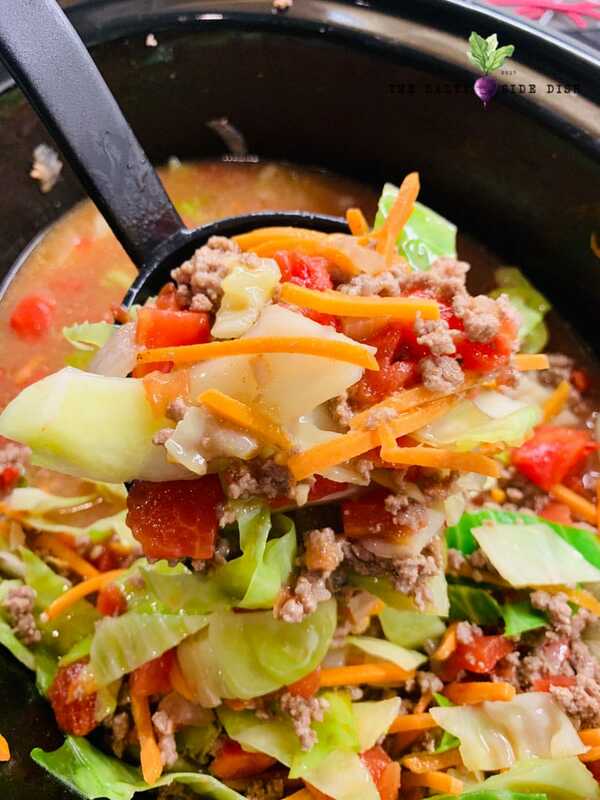 Full of healthy vegetables and beef stock, you will love this cabbage soup with high protein beef that will keep you warm all winter long and fend away the cold. Vegetable beef soup with Cabbage is often called a healing soup. With delicious broth and so many vegetables, its an easy soup to make a huge pot of and eat guilt free all week. The only problem I have with traditional cabbage soups is that while they are can be filling, they are often missing the protein. 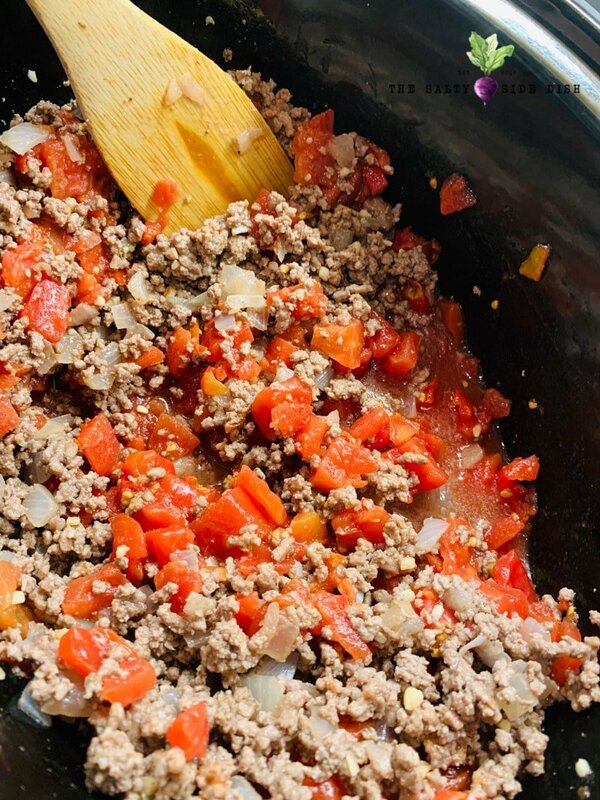 This week while wanted to enjoy this hearty soup option with my family, I decided to mix up the flavors and add ground beef. 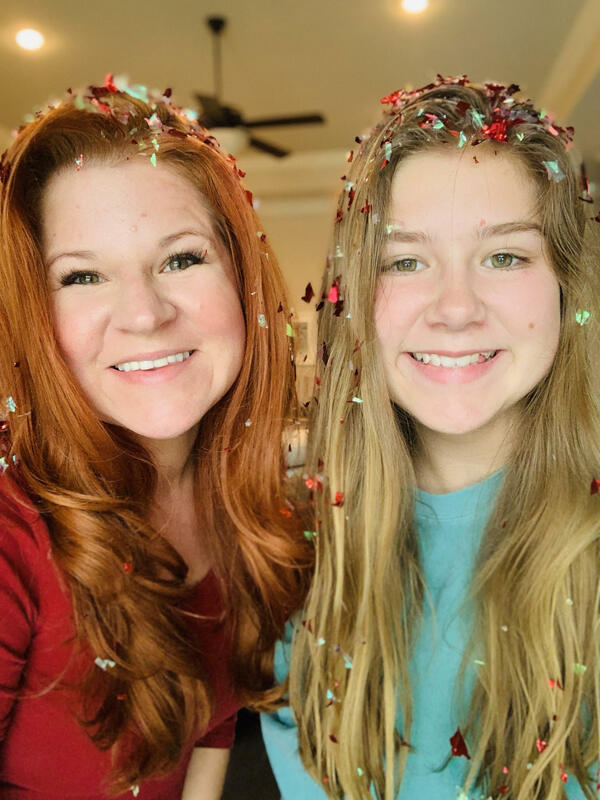 Ground beef turned out to be a fantastic additive and my entire family gave it a huge thumbs up. This soup can be made in a pot or the veggies pre-cooked and thrown in a crock pot to simmer during the day. 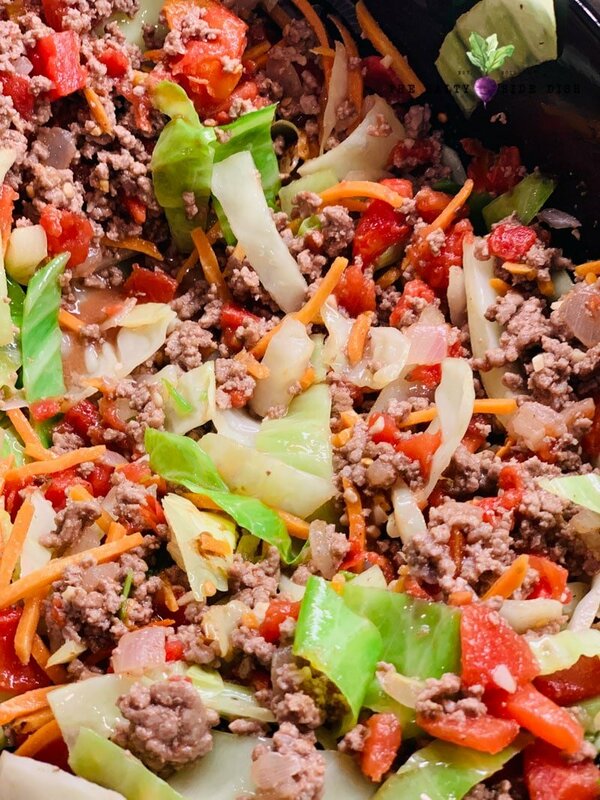 You can also easily flavor and season this soup anyway you want but I love how this cabbage soup with ground beef is flavored in more of a Mexican way, which is why I add a package of Taco Seasoning to mine. You can easily enjoy beef cabbage soup as lunch, dinner, or pre-meal appetizer. Need more soup options? Try Carrot soup! This beef cabbage soup uses Mexican seasonings rather than Italian seasonings for a unique spin on an old recipe. Beef and Cabbage Recipe Notes: When I originally was creating the recipe, cutting up 1/2 a head of cabbage seemed like a ton, but cabbage shrinks down really quickly once in a pot and I felt it could have used a lot more. Feel free to cut more and just push down in the pot, it will get soft and not be as much as it seems. If I redo this recipe, I would likely cut close to the whole head. The first thing you need to do is cook your sirloin, minced garlic and drain it. Set aside. Throw your butter into a large pan over medium heat. Now take your cut up cabbage, and shredded carrots and put in sizzling pan. 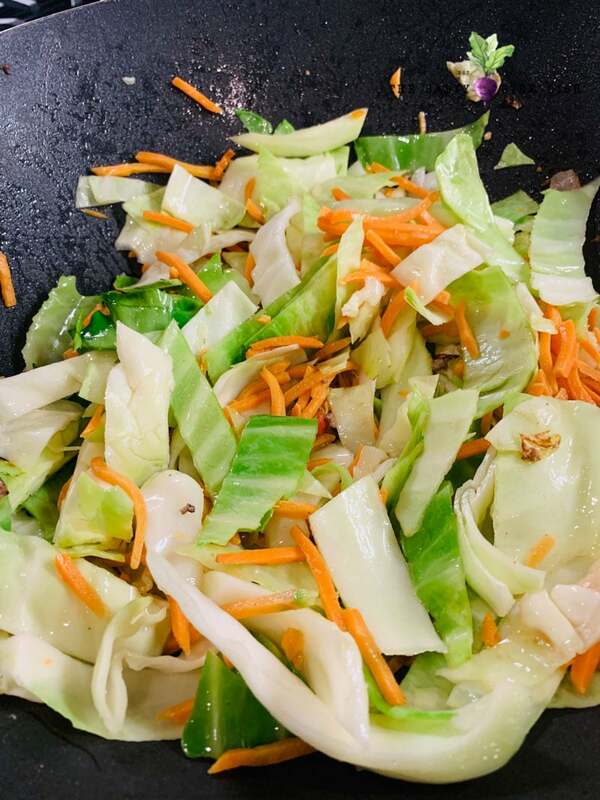 Personally I like using a wok when I work with cabbage because prior to being cooked down, cabbage is a pretty large veggie and takes a lot of space. Saute your veggies for about 5 minutes, rotating often until they are crisp tender. Dump your drained meat and (non drained) tomatoes into a slow cooker or large soup pot. Add your cabbage, carrots, beef broth, garlic, seasonings and stir. Now add your taco seasoning and stir. 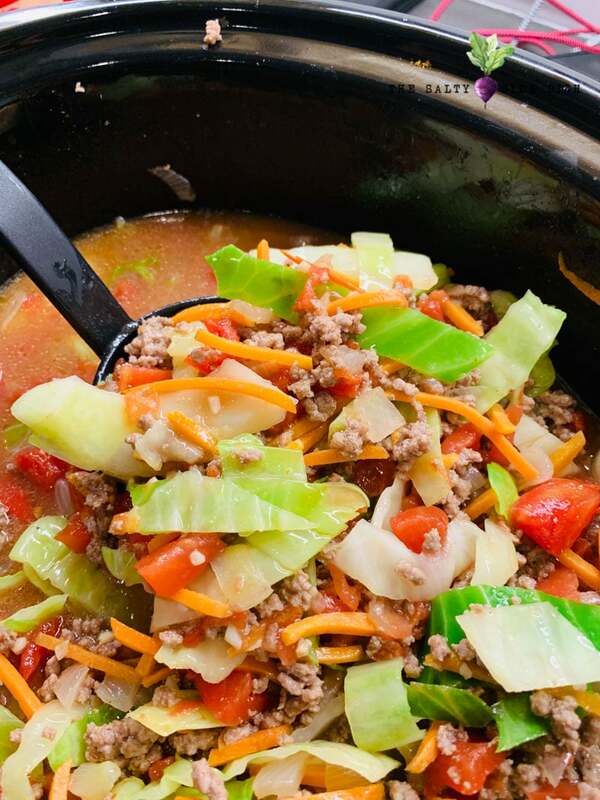 Leave on low in a slow cooker for 2 hours or until veggies are soft, then move to warm. If you cook in a stock pot, keep on low heat for approximately an hour, stirring frequently, until veggies are tender. I do not like to monitor a pot on a stove, so I always find it best to throw in a slow cooker. If you need it to be done quicker, you can move your soup to high heat for an hour and then back down to low or warm. Need more low carb foods? No need to blow your diet! These side dishes and meals can help out by keeping you low carb. The first thing you need to do is cook your sirloin and drain it. Set aside. Throw your butter into a large pan over medium heat. Now take your cut up cabbage and shredded carrots and put in sizzling pan. Personally I like using a wok when I work with cabbage because prior to being cooked down, its a pretty large veggie and takes a lot of space. Saute your veggies for about 5 minutes, rotating often until they are crisp tender. Dump your drained meat and (non drained) tomatoes into a slow cooker or large soup pot. Add your cabbage, carrots, beef broth, garlic, seasonings and stir. Now add your taco seasoning and stir. Leave on low in a slow cooker for 2 hours or until veggies are soft, then move to warm. If you cook in a stock pot, keep on low heat for approximately an hour, stirring frequently, until veggies are tender. I do not like to monitor a pot on a stove, so I always find it best to throw in a slow cooker. If you need it to be done quicker, you can move your soup to high heat for an hour and then back down to low or warm. When I originally was creating the recipe, cutting up 1/2 a head of cabbage seemed like a ton, but cabbage srhinks down really quickly once in a pot and I felt it could have used a lot more. Feel free to cut more and just push down in the pot, it will get soft and not be as much as it seems. If I redo this recipe, I would likely cut close to the whole head. My husband has a bad cold. I know what we’re having for dinner tomorrow night! Thanks for another great recipe. 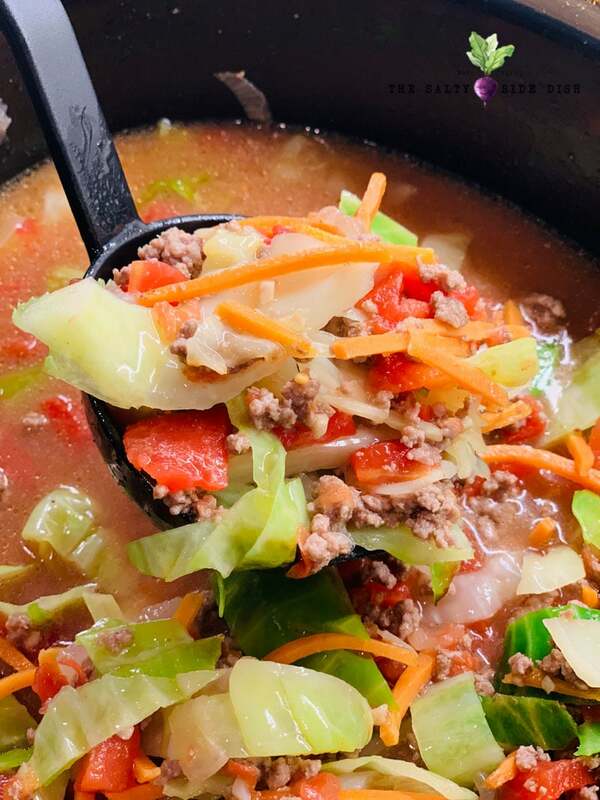 I love how simple this beef cabbage soup can be and you can alter by adding some of your own favorite veggies like celery too! I think i would like to TRy this using coleslaw mix. Sometimes I just don’t feel like chopping lol. Aika- using a cabbage or coleslaw mix is a GREAT idea!